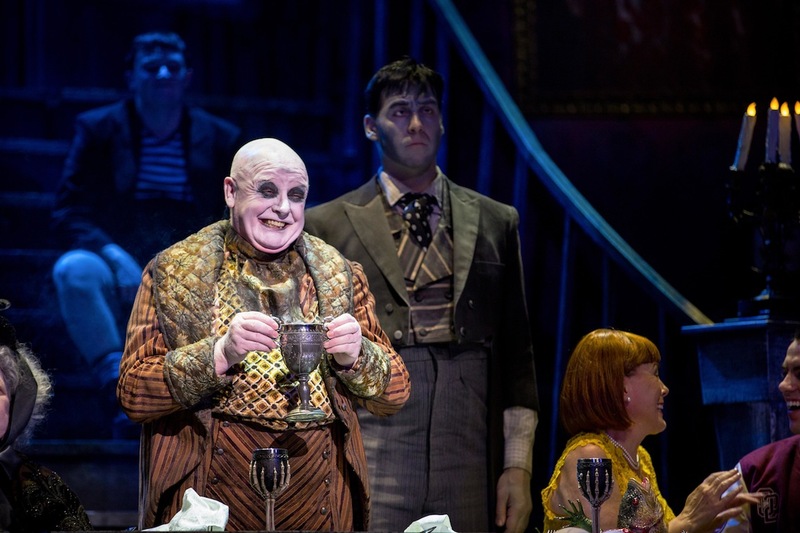 As soon as ‘Thing’ – the disembodied hand – creeps through a letterbox on stage and starts clicking his thumb to the famous da-da-da-da Addams Family tune belted out by the orchestra below, the hairs on the backs of our necks were standing on end. 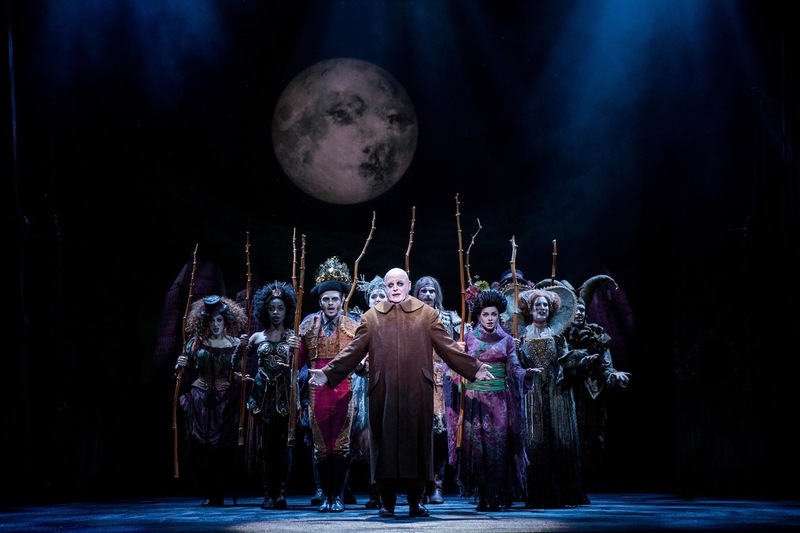 This comedy musical has some big stars on stage to back it up. 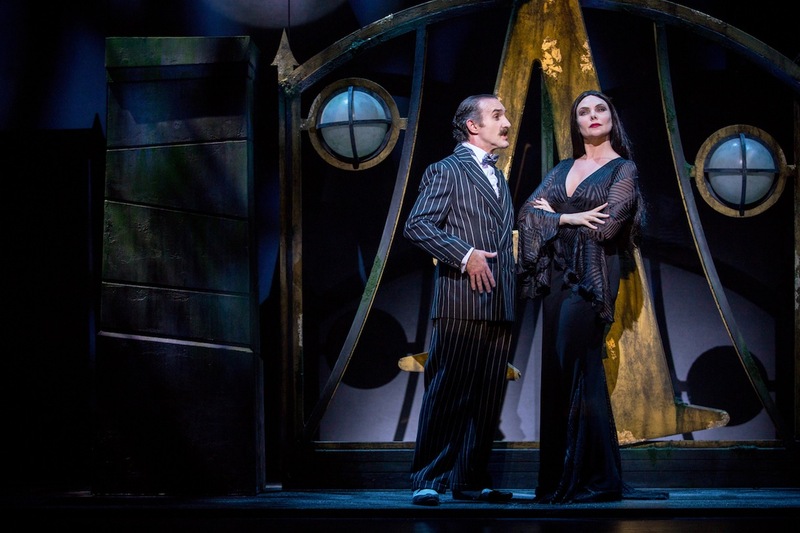 We loved the cool, calm, sultry and understated portrayal of Morticia by Samantha Womack and a delightful, rounded Les Dennis as lovelorn Uncle Fester. 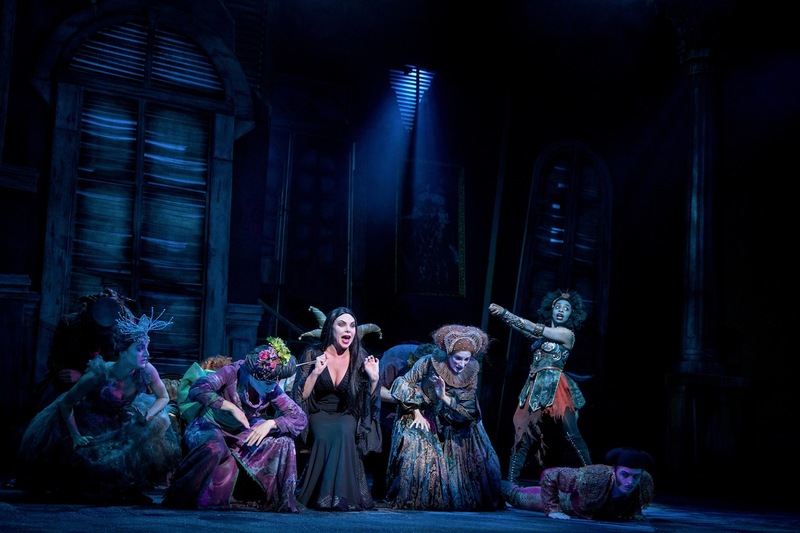 But big performances by everyone on the night meant this show shone (despite the dark stage sets!). The central tension of the story is that Wednesday, now coming of age, has fallen in love with Lucas – on ordinary, respectable guy from Ohio. She doesn’t want her mother to know quite yet that she wants to get married, so asks her father – the sentimental Latin-lover Gomez with eyes only for his beautiful wife – to keep it a secret. 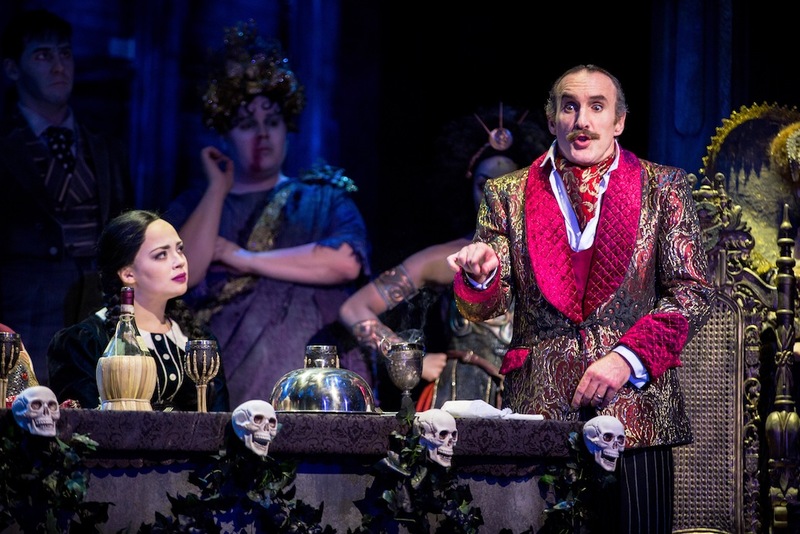 But, as secrets are something that Morticia says should never be kept in a marriage, Gomez (masterfully portrayed by the wonderfully expressive Cameron Blakely) is caught in a trap. 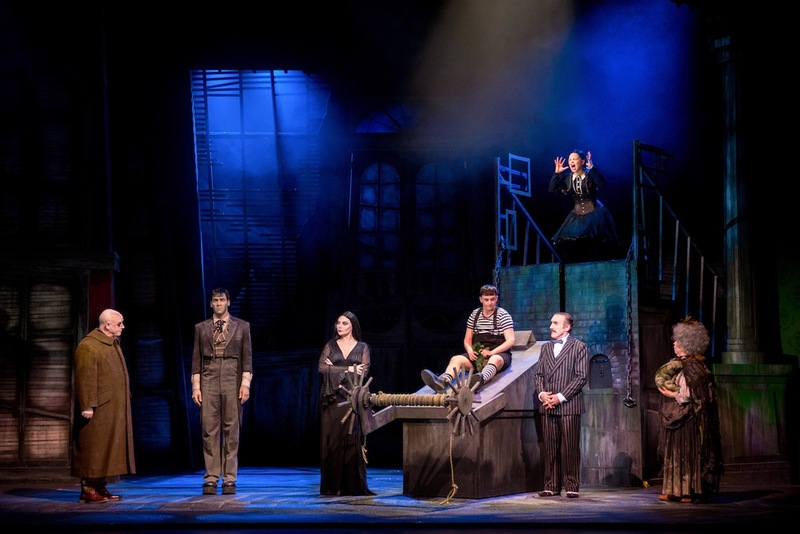 There are beautiful vocal perfomances from Carrie Hope Fletcher (Wednesday) and great dance routines with the full cast of ghostly relatives banned from returning to their tombs unless the romance between Wednesday and Lucas succeeds. 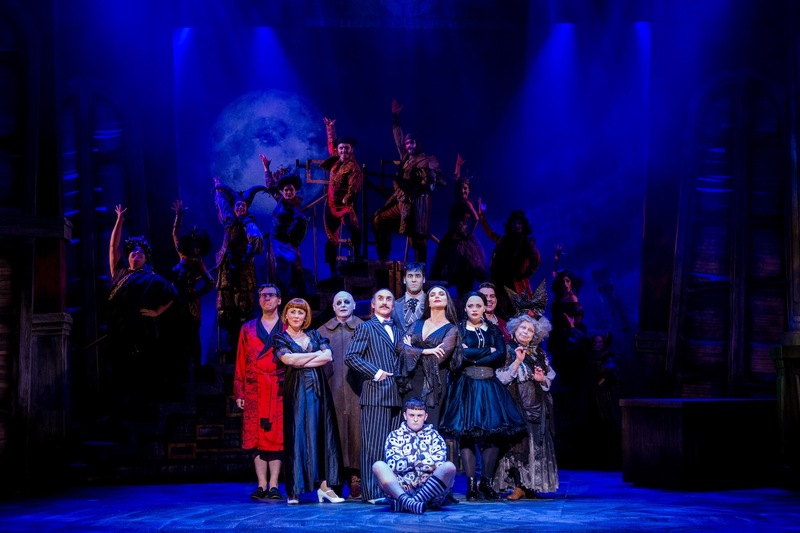 Highlights included the ‘When You’re An Addams’ and ‘Let’s Not Talk About Anything Else but Love’ songs and there was plenty of humour – not least from the monosyllabic slow-moving butler Lurch (Dickon Gough) who surprised everyone with his amazing baritone at the end of the show and Grandmama’s toilet humour. 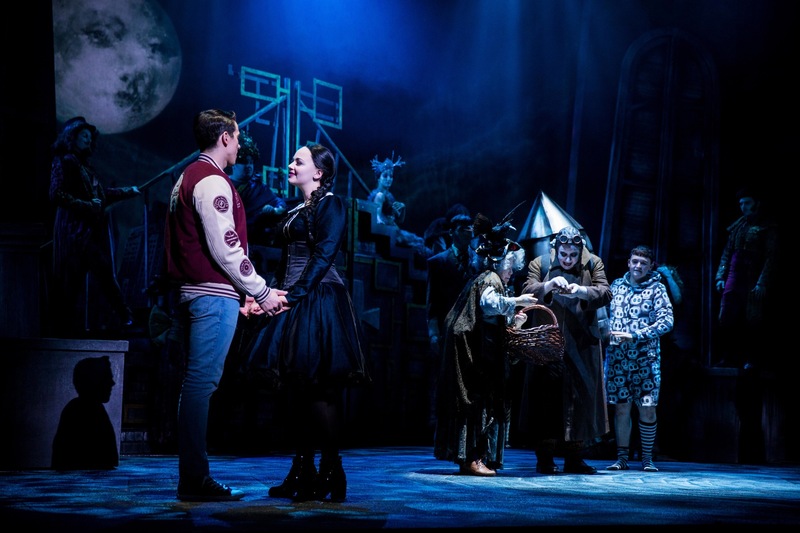 We also loved the scene where mild-mannered and keen-to-please mother of Lucas Alice Beineke (Charlotte Page) finds her voice after accidentally taking a potion planted by Pugsley.